Auberge Michel recently made culinary history by becoming the first restaurant in South Africa to receive a five-star rating by the Tourism Grading Council of South Africa. 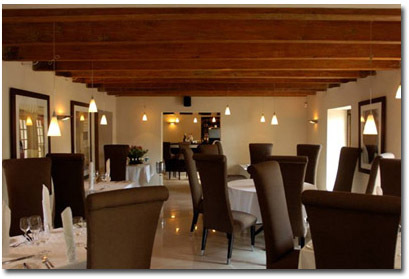 The establishment, headed by renowned French restaurateur Michel Morand and businessman Vusi Sithole, boasts a dedicated team that is set on keeping Auberge Michel the French restaurant of choice in Gauteng. �I believe in showcasing the natural flavours of each individual dish and my aim is for each guest to experience the actual flavour in the most natural way. Passion and imagination have been important components in shaping Frederic�s Autumn Menu, which offers a variety of dishes to enhance the most jaded of palates. These dishes are prepared to reflect the freshness and quality of the ingredients, and a large slice of the success of each dish is Frederic�s insistence in sourcing the right raw products. Time is spent with suppliers to make sure that the quality and standards that Auberge Michel expects are maintained.